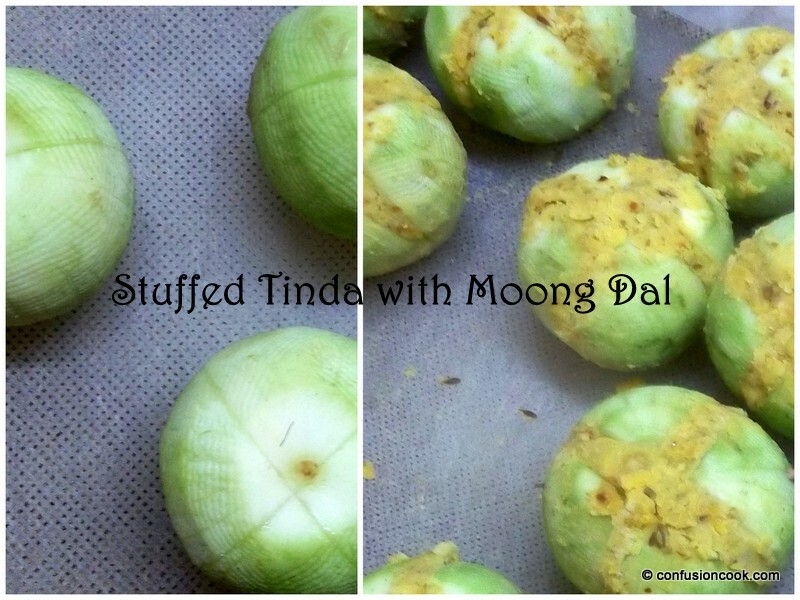 Few years ago, I had a Bengali cook, who made some mouthwatering vegetarian fare for us. 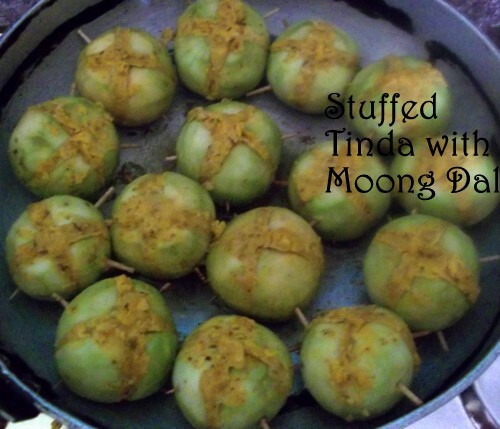 Of all the things she made us, V loved this stuffed tinda. Every few days he would want this. 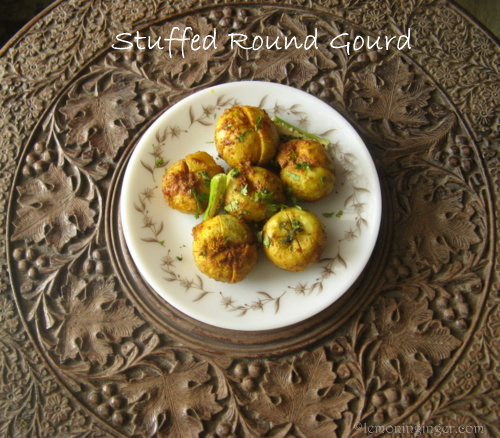 We moved cities & left her behind, but this round gourd recipe has been made so much in my kitchen that this doesn’t feel like an acquired recipe any more. 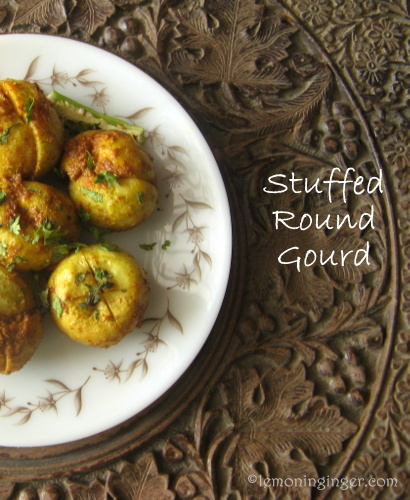 Also, the health benefits of eating round gourd are numerous & we enjoy this seasonal vegetable in summers a lot. Nothing like seasonal veggies to beat the heat. P. S. – The stark difference between the in-process images & final dish images is clearly an example of my food photography journey. The in-process ones were clicked 2 years ago at the beginning of this blog with no knowledge or thought behind them and the prepared dish images are clicked only recently with some amount of effort in the photography process. Again my camera is the same P&S. Soak the dal overnight. Drain in the morning, keep aside. Peel & clean the gourd. Now slice the gourd in 4 parts, without separating from one end. In 1 Tbsp oil, lightly fry the dal with all the other spices. Keep aside the filling. Gently open up the gourd, keeping 1 end intact. Now press in filling using your hands. Press it firmly so that it doesn’t loose shape upon cooking. Pierce with 1 or 2 toothpicks to keep the filling in place. In a large bottom pan, add remaining oil & gently place the gourds with filling side up. Allow it cook on slow till tender, If you want you can gently turn it over to cook from the other side too. Serve hot with chapati.